I love any story that has to do with mythology. I am more familiar with Greek mythology though, so when I stumbled upon Norse Mythology by Neil Gaiman, I decided to give it a go. After all, Norse mythology deals with Thor, Odin, Loki, Freya, and many other Norse gods. If you’ve watched any Marvel Avengers movie, then you’re familiar with Thor and Loki. I wanted to read this book to see how close Marvel followed the Norse mythology(laughable, yes, but nevertheless I was curious). Add in giants, dwarves, ogres, and multiple other fantastical beasts and I knew I would enjoy it. Norse Mythology by Neil Gaiman spins the fantastical realms of the primeval Norse myths into a novel. Gaiman begins by describing the origins of the nine worlds and ends with Ragnarok, the time when the gods will die and a new world will take over. In between the beginning and decimation of all, Gaiman weaves stories of the different giants, dwarves, and deities who inhabit the nine worlds. 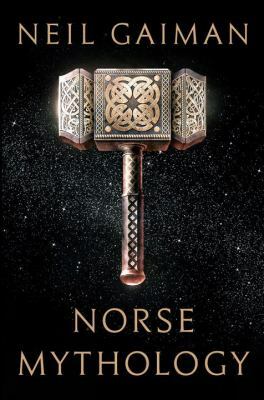 This book was a fascinating read and Gaiman stays true to the actual Norse myths. Remember that this is a work of fiction, however, and he did recreate the characters a little bit to make it more interesting. Nevertheless, this book was a thoroughly engaging read. If you have the option to listen to it, I recommend you do because Neil Gaiman actually narrates it himself! Worth it. Gaiman is a masterful storyteller whose lyrical thoroughness is out in full force as he breathes new life into these long-ago myths. 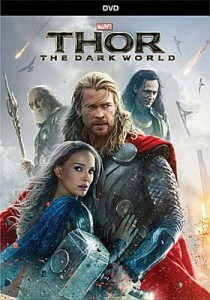 Thor, Loki, and Odin seem to jump off the page as they fight to keep order throughout all nine worlds. Everyone manages to get into a little bit of trouble (I mean, Loki is a trickster God after all…), so you know things are going to get crazy. Each story told adds in multiple elements and different layers to the gods’ lives. I really enjoyed this book and hope you do as well! 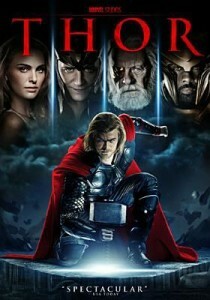 I have always found Thor to be very intriguing. An immortal God growing up in his father Odin’s shadow, listening to tales of war and the defeating of enemies and subsequently struggling to lift Mjolnir, his magic hammer, when he was younger because he wasn’t worthy yet. In the Marvel movies, viewers get some flashbacks of Thor’s life, but not as much as I was looking for. Instead of digging into Norse mythology, I decided to look at the graphic novels available at the library to see what background they could provide me. That was where I found Jason Aaron’s run of Thor. 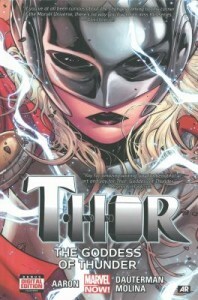 Thor: God Of Thunder, Volume 1: The God Butcher is the first volume in Aaron’s run that gives readers an insight into Marvel NOW!’s interpretation of Thor. I found this graphic novel to be confusing, yet ultimately rewarding because it filled in many of the wholes that I had about Thor’s upbringing and his motivations for behaving the way that he does. Let’s get down to the nitty gritty: The reason I found this graphic novel to be confusing is because of the story line. In this first volume, Thor is on the hunt for the God Butcher after discovering floating body parts of a God in a river after a fight. 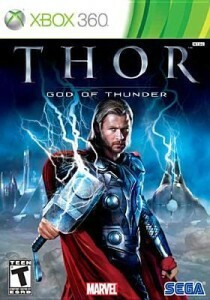 The horror in the eyes of the deceased God catapults Thor on a hunt that defines his actions for the entirety of his life. This graphic novel is a prime example of why you MUST pay attention to the artwork in order to follow the storyline. This volume is essentially three Thor stories being told at once: past Thor, present Thor, and future Thor, all on a quest to hunt down and kill the God Butcher who has made it HIS mission to kill all of the Gods across all of the worlds. Differentiating between past Thor and present Thor is a little difficult, but there are wardrobe and art style clues that will help key you in to what Thor you are actually looking at. 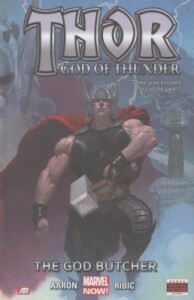 This first volume of Thor is perfect to set up the rest of the series’ run because it introduces a villain that even Thor has trouble defeating, the idea that gods are vanishing and no one is aware or really even cares, and that this is a problem that has taken thousands of years to solve, yet still hasn’t been fixed. 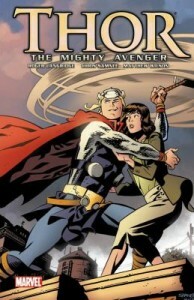 (Bonus: There is a Lord Librarian who has WINGS and who Thor goes to for help!) The back stories of both Thor and the God Butcher are exquisitely thought through and Ribic’s artistic descriptions of Thor’s struggles really show the darkness of this seemingly eternal fight. Check this out and let me know what you think!